As dusk enveloped the spectacular vistas of Yosemite Valley in Yosemite National Park, California, a huge pile of wood lay stacked at the edge of a high cliff. Nature lovers from far corners of the world gathered on the valley floor, waiting till dark when the woodpile was torched and slowly pushed off the cliff, the burning logs forming a blazing cascade down the mountain’s stony face. The image of the primitive light show, staged at Yosemite for tourists, stuck in Florida-born Rick Roberts’ mind for a long time. Then in l973, as he and his new Colorado based band were about to play their first gig but still needed a name, the image flashed back: Firefall. That seems an especially dead-on handle for the country flavored rock’n’roll band that carried the torch of musical forebears such as The Byrds, Buffalo Springfield, and The Flying Burrito Brothers into the mid-’70s and beyond. 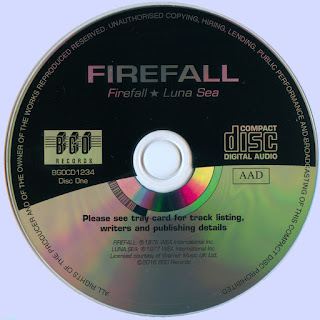 In early 1975, FIREFALL recorded a three song demo tape produced by Chris Hillman and began shopping it to several major labels. At the same time, the new group’s members pursued other musical avenues. After CSNY’s mammoth 1974 tour and latest divorce, Stills put a new group together, and signed a solo deal with Columbia. Stills cut his solo album at Caribou Studios near Nederland, Colo., and for the six week supporting tour that summer, Stephen added Roberts to the band on backing vocals and guitar. During the set, Rick sang his song, ‘Colorado,’ a Burrito tune that Linda Rondstat had made famous. Firefall’s big break came unexpectedly, at around the same time. A few months after splitting up with Richie Furay and J. D. Souther, Chris Hillman hit the road with a backup band that included Firefall’s Bartley, Andes, and Roberts. By the time they were scheduled to play The Other End in NYC, Hillman became ill and could not complete the tour. Firefall flew in it’s other two members from Colorado to finish the engagements. Atlantic A&R reps, who’d been impressed by their demo, caught the show and quickly offered the group a multi-album contract. They signed on and made plans to record their first record in the winter of 1975. Wanting more color and texture to their music, Firefall called upon DAVID MUSE, a high school buddy of Rick’s in Bradenton, Fla., who played sax, flute, harmonica and every imaginable keyboard. It was the final musical piece Firefall would need. With ex-Poco Producer Jim Mason at the helm, the band went into rehearsals in Boulder. Though Caribou Studios was available and nearby, it was quite pricey and would probably be ‘too close’ to home, families and all the distractions that might take away the needed focus. So Firefall flew to Miami, Florida to record at one of the top studios in the country, Criteria Studios, who had hosted many artists including The Bee Gees, Eric Clapton, The Allman Bros., CSN and Stephen Stills. The band got down to focused work and the magic flowed. The first album, engineered by Karl Richardson (Bee Gees), took one month to record and mix and was made on 16 track tape. It was released by Atlantic Records in the spring of 1976 and became Atlantic’s quickest album to sell gold status (500,000) in it’s storied history. Sparks flew with the album called “FIREFALL” and the group’s sound caught fire on record, radio and on-stage. While the first single, ‘Livin’ Aint Livin,’ climbed into the top 40, songs like ‘Mexico,’ Robert’s original version of ‘It Doesn’t Matter’ and Burnett’s ‘Cinderella’ took off on album oriented rock (AOR) stations. The group toured with Leon and Mary Russell, The Doobie Brothers and The Band (on their final tour before making their farewell documentary movie, ‘The Last Waltz’). The second single, ‘You Are The Woman,’ raced into the Top 10, becoming an overnight mega-hit with pop and mellow rock audiences. 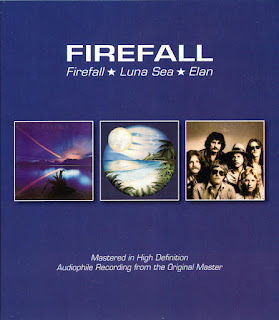 Firefall continued to tour the summer of ’76 with Fleetwood Mac, who’d recently added Stevie Nicks and Lindsey Buckingham to their lineup for their groundbreaking “White Album.” Firefall cemented relationships with Mick and the band that would last a year and a half. A rare (for the era) third single, ‘Cinderella,’ though having received saturation FM airplay, fared less well on AM radio, hindered, as they would later learn, by a few influential woman’s organizations on the east coast who didn’t like the ‘message’ of the (fictional) lyrics. But Firefall blazed very brightly in 1976 and 1977, making a sizable mark during their first year in a crowded industry with their fresh and melodic music. The group went back to Miami and Criteria Studios with Jim Mason to make their second album. It was to be called “TROPICAL NIGHTS” and included a number of songs that would later be dropped. Instead of a hotel, they rented one of the ‘Home At Last’ mansions that Eric Clapton made famous on his “461 Ocean Blvd.” album. Percussionist JOE LALA, (ex Manassas and CSN percussionist and an occasional touring Firefall member) and the legendary Memphis Horns added punch to the record. But in L.A., Atlantic C.E.O., Ahmet Ertegen, listened to the playback of the final mix and stated, “You boys need to go back in the studio and re-do this record (as Fleetwood Mac had with the White Album). It must be stronger to follow up your great first album. Write more songs, go back on tour, take your time.. no problem.” And so the band hit the road again and prepared to rework a few existing songs and add a number of newly written ones, including the future single, ‘So Long.’ The new album was renamed “LUNA SEA” with a new cover and released in early 1977. The debut single, ‘Just Remember I Love You,’ re-recorded with ex-Poco and future Eagle, TIMOTHY SCHMIDT singing background vocals, shot up the charts into the Top Ten. The album was certified gold on Oct. 3, after less than two months on the Billboard charts, where it peaked at #27. The song however, reinforced Atlantic’s – and radio’s – perception of Firefall as a soft-rock ballads band. The group on the other hand, saw itself as a smokin’ rock unit who happened to have a few mellower hits that got lots of pop and adult contemporary airplay. As a result, the second single off ‘LUNA SEA,’ the more rock’n’roll ‘So Long,’ didn’t get the major push or airplay the first single had. Non-stop touring, managerial problems, alcohol and drug abuse by some of the band and internal friction began to tear at the group – but it was the ‘big time’ and they were enjoying ’star status.’ All differences were swept under the table. The band toured extensively with Fleetwood Mac during their Rumors Tour (playing sold out stadiums nationwide) and also played with The Doobie Bothers, Chicago, The Marshall Tucker Band, The Beach Boys and Lynard Skynard (frequently playing with them right up to Skynard’s terrible plane crash). 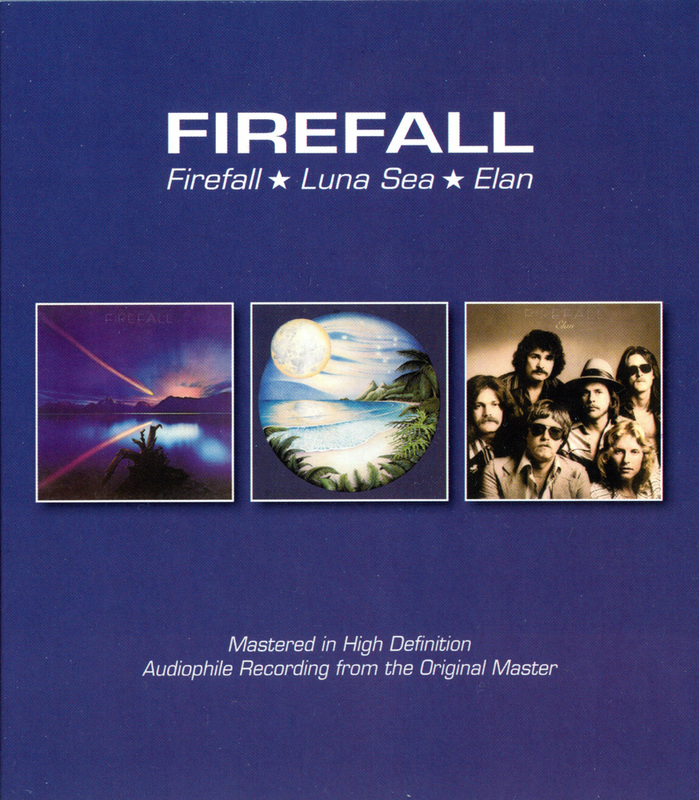 Firefall came back stronger than ever in 1978 with their third album, “ELAN,” recorded first at Criteria and later at L.A.’s Record Plant. The band brought in heavyweight producer Tom Dowd (Aretha Franklin, The Rascals, Cream, The Allman Bros., Eric Clapton) to make the record. But band and producer, though getting along fine, had different musical visions. Atlantic was poised to release Dowd’s effort, when Firefall’s new manager, Mick Fleetwood and Limited Mgmt., demanded the group be allowed to ‘beef up’ the record. And so, for a second time, the band re-worked an album (and greatly increased their on-paper debt with the label). And again, their dark luck with managers continued – Limited Mgmt. and Firefall soon parted ways. The production team of Ron and Howard Albert (The Allmans, Clapton, Stephen Stills/Mannassas, Crosby, Stills & Nash) were brought in to finish the project. Don Gehman, who engineered the Miami dates and mixed the whole record with the Alberts would go on to produce John Mellencamp in the ’80s. Industry anticipation was so high for “ELAN” that it shipped gold, meaning half a million copies were in stores on release day. Hoping to put any identity issue to rest, the band and Atlantic chose ‘Strange Way’ as the album’s first single. The Roberts tune was a ballad and a rocker rolled into one, alternating mellow, plaintive verses with angry, ballsy choruses and featuring a smokin latin-flavored flute solo at the end. Not surprisingly, it went over big with both Top 40 and AOR radio during the autumn and winter of ’78, and the band embarked on another series of concert dates, this time as the headliners. ‘Strange Way’ and other oft played tracks like ‘Sweet And Sour’ (with future Traveling Willbury’s/Little Village drummer Jim Keltner on drums), helped boost “ELAN” past the million mark in sales as 1978 gave way to ’79. It was certified as Firefall’s first platinum album in mid January, just as ‘Goodbye, I Love You’ was saying hello to the Hot 100. Three months later, ‘Sweet And Sour’ was issued as a single, continuing the long hot run. Thanx! I love "You Are The Woman..."